Like the joint, the Rib Eye steak is taken from the fore ribs and has a little more fat for a very juicy and flavoursome steak. The T-bone is cut across the bone of the Sirloin and is both tender and tasty. Fillet Steak is the most lean and tender of all steak cuts and lends itself to being cooked quickly and rare. Season the steaks on both sides with freshly milled black pepper but no salt yet, as this salt encourage the juices to come out. Gently place the steak into the hot pan so it doesn’t splash you. What this does is sear the meat, sealing the edges and encouraging the juices to stay inside. Use a tablespoon to press gently on the surface of the steaks, so that as much as possible is kept in contact with the heat of the pan. Some juices will escape but these are kept in the pan to serve with the steak or incorporate into a sauce. For a steak 1 inch (2.5 cm) thick, allow 1½-2 minutes on each side for rare; 3 minutes on each side for medium; and about 4 minutes on each side for well done. For a fillet steak 1½ inches (4 cm) thick, give it 5 minutes on each side for medium; 1 minute less each side for rare; and 1 minute more for well done. Again, timings will vary because the thickness of meat differs, so you need to test with a skewer or the blade of a small knife, as you would for grilling. Turn the steaks over at half-time only – the cooked side will look crisp and crusty. 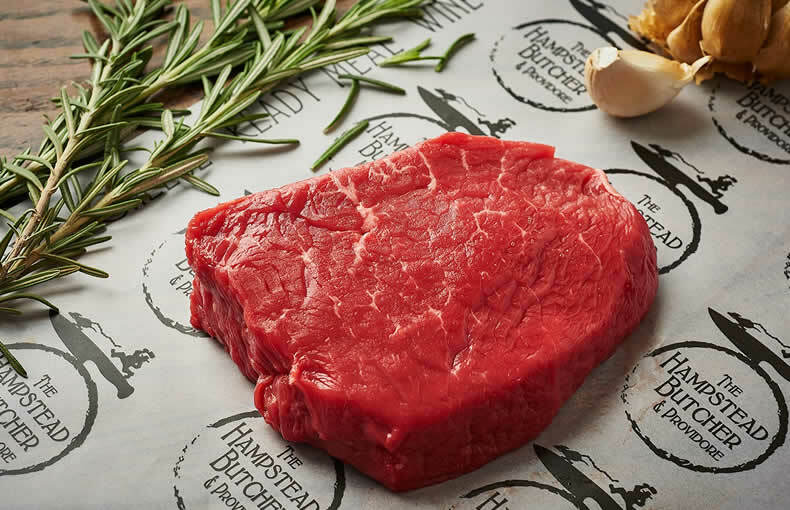 Rest your steak for 5-10 minutes after cooking, this will help all the juices stay within the meat as you cut & eat it, rather than being squeezed out after the first cut because the meat is too hot & tight. Don't forget to season with salt before serving.